The revitalizing and restoration of rivers, creeks and streams is a major focus of urban conservation activity throughout North America and Europe. 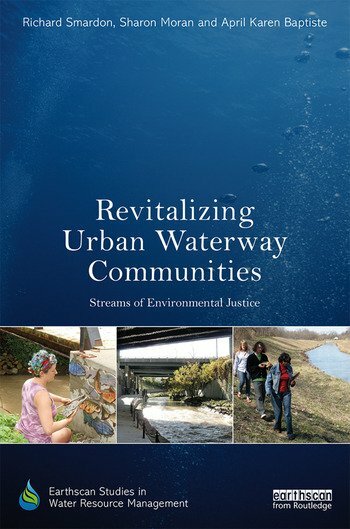 This book presents models and examples for organizing multiple stakeholders for purposes of waterway revitalization—if not restoration—within a context of fairness and environmental justice. After decades of neglect and misuse the challenge of cleaning up urban rivers and streams is shown to be complex and truly daunting. Urban river cleanup typically involves multiple agendas and stakeholders, as well as complicated technical issues. It is also often the situation that the most affected have the least voice in what happens. The authors present social process models for maximum inclusion of various stakeholders in decision-making for urban waterway regeneration. A range of examples is presented, drawn principally from North America and Europe. Richard Smardon is a SUNY Distinguished Service Professor Emeritus at the SUNY College of Environmental Science and Forestry, USA. Sharon Moran is an Associate Professor at the SUNY College of Environmental Science and Forestry, USA. April Karen Baptiste is an Associate Professor of Environmental Studies and Africana and Latin American Studies at Colgate University, USA.